My first father-son experience taking my boy to an NBA basketball game was going to see the Detroit Pistons match up against the Sacramento Kings. He had never been to a pro basketball game before. 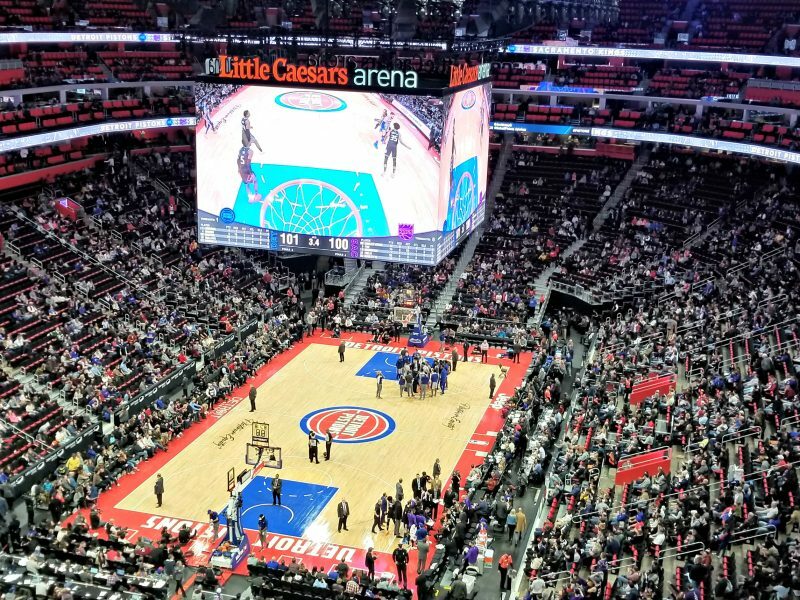 It was my first time attending an event at Little Caesars Arena in downtown Detroit. The LCA, as people call the place, is home to the Detroit’s professional basketball and hockey teams. The venue hosts a variety of other functions ranging from concerts to performances of Disney on Ice as well. 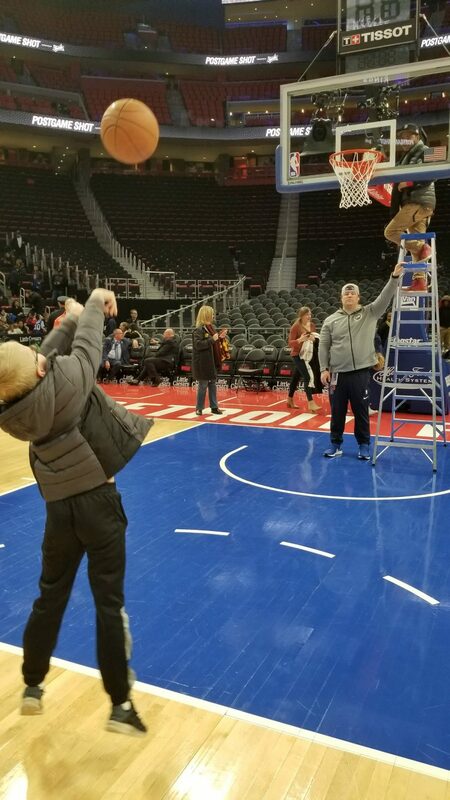 We had a rather memorable ending to my son’s first NBA game. 3.4 seconds left with the home team Pistons up by 1 point with Sacramento inbounding the ball at half court. They pass it in bounds→ ball is up in the air … swoosh … the Kings win 103 to 101. Doah! Though our home team didn’t win it was an exciting last second shot to win the game. Have you gone to see NBA teams play with a son or daughter? 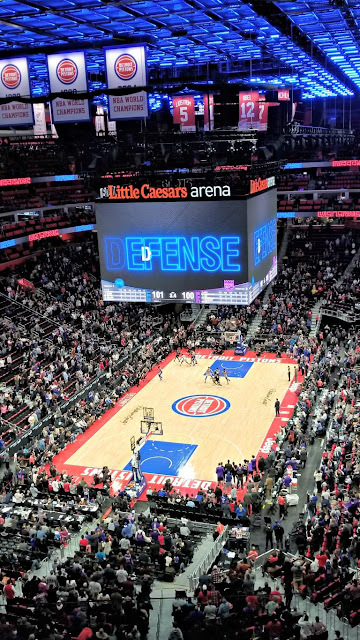 Here are four things to consider before going to an NBA game with kids. 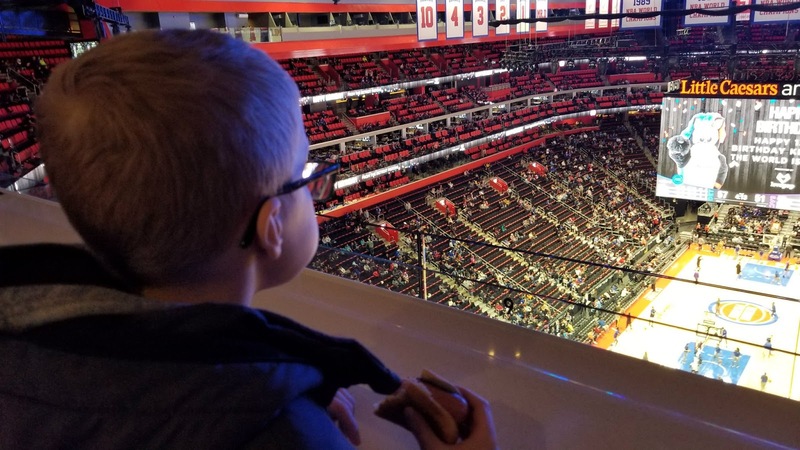 These are tips based upon my taking my own son to see his first NBA game. While some teams play at stadiums where you can take public transportation, most of the time you are probably going to need to drive yourself there. Check out what the parking situation is before you go. Some suburban stadiums have huge parking lot surrounding them but many urban ones will have you navigating the cityscape looking for a place to park. Have an understanding of how far you will be need to walk to the stadium. 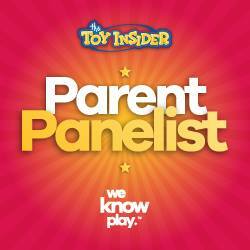 Make sure it is a reasonable walking distance and kid-friendly environment for the child tagging along with you. Be aware that some parking lots may only take cash. You don’t want to be stuck with just a credit card when they only take cash for parking. Also, some parking lots and structures fill up before you can get there. Look for e-parking apps and websites to make reservations in advance. This guarantees you a spot in your preferred parking place. This lets you pay online with a credit card, your bank account or PayPal instead of relying on cash. For our trek down to LCA, I used parkwhiz.com to reserve space in a parking deck one block from the stadium. We pulled in, I flashed the barcode in an email to the attendant at the gate, and we were good to go. Not only did I have a spot guaranteed but the price was $5 less than if we just showed up without a ParkWhiz reservation. This deck filled to capacity right after we got there so using the e-parking service was a good move. For some kids the view of the court is really important. Others just aren’t as interested. They just enjoy the environment of a live game. We had nose bleed seats up in the rafters of the stadium that I bought for cheap through a promotional ticket package. My son didn’t care because he just wanted to go see a game in person and the tickets were inexpensive so it wasn’t a big deal. If he wanted an up-close view of the players though the trip would have been a bust. Understand before you buy tickets how important getting an up-close view of the players is to a kid. That is a key factor in determining how much you will consider spending for tickets and whether or not it may be just better to watch the game on television together. On the other hand, children who aren’t diehard fans, like my son, may not care as much where they sit. Look for discount packages that bundle tickets with other benefits. Sometimes teams will include food vouchers with tickets. Other times special experiences or souvenirs may be included. 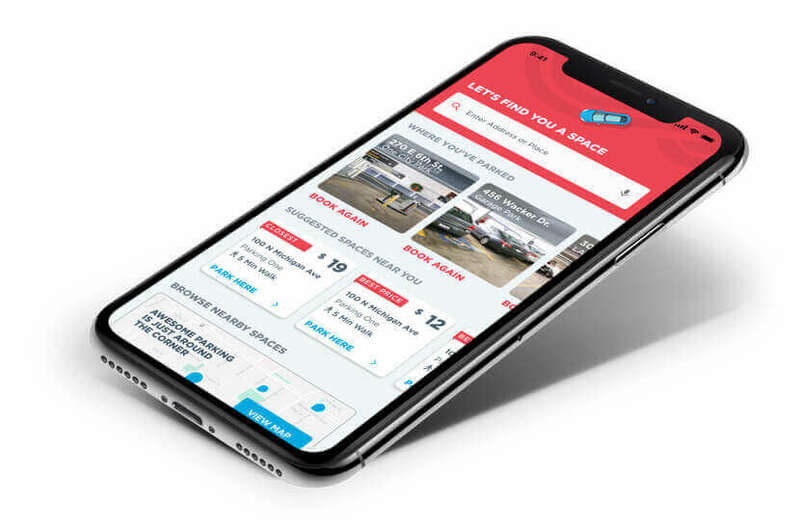 Look to see how you can get the most bang for your buck! For the game we went to the team bundled souvenirs and a postgame shot on the basketball court with discounted tickets. We both received Pistons winter knit hats. Plus the chance to shoot a shot from a free throw line on the floor the Pistons play on. It was fun to imagine taking a game winning shot on the same court we’d just seen professional teams play on. Food is ridiculously expensive at NBA arenas! Want to save some money but still have something to snack on during a game? Often times it is ok to bring food in with you. Make sure to use containers that meet stadium safety requirements. Arenas that are publicly owned especially will be accommodating to letting people bring their own snacks in to eat during a game. Check out what you can and cannot bring in before you head out to a game. Rules should be posted on a stadium’s website. If not, call and ask. Of course, buying something to eat is part of the stadium experience. So, planning to include some spending on snacks during a game is always a smart move. My son really wanted a hot dog while we were at LCA and for him that was one of the highlights of the game. 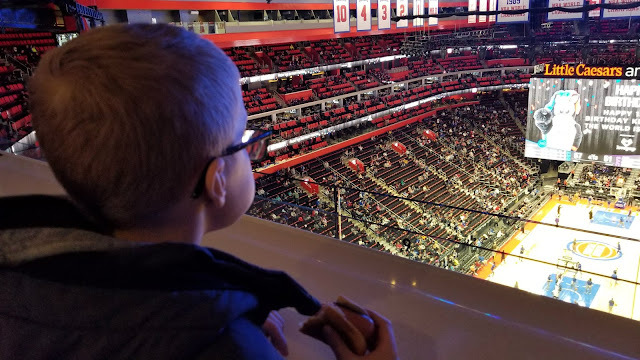 He told all his friends at school how much fun he had eating this great tasting hot dog while watching his favorite Piston, Blake Griffin, play in the game. I do have to say LCA has some great tasting hot dogs! Before skimping on spending some money on food think about how snacking at the game can be a big deal for a kid. Don’t wait for quarter or halftime breaks to go when your family is going to be overwhelmed with everyone else also making a run for the toilets. Take a potty break when the bathrooms won’t be so busy even if your kid says they don’t need to go. They normally will when you get there! What child isn’t going to want a souvenir from an NBA game? Basketballs, bobbleheads, jerseys, programs … there are always a lot of pricey mementos to purchase at games. 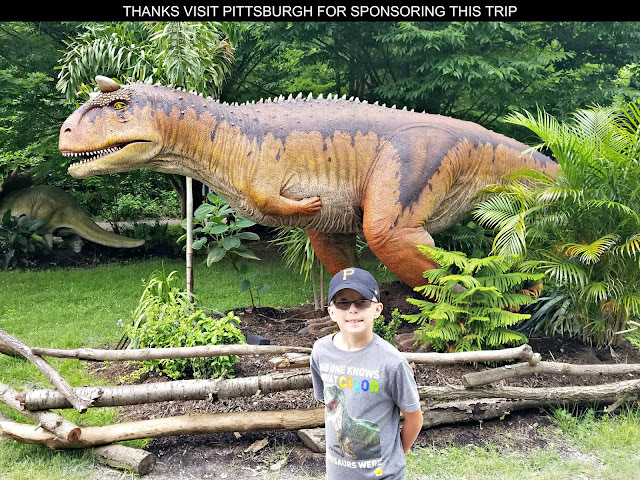 I try to get a ticket package that includes something for us to bring home for the kids. Going on a promotion giveaway day when the team is handing out goodies to fans is a good way to avoid spending extra too. 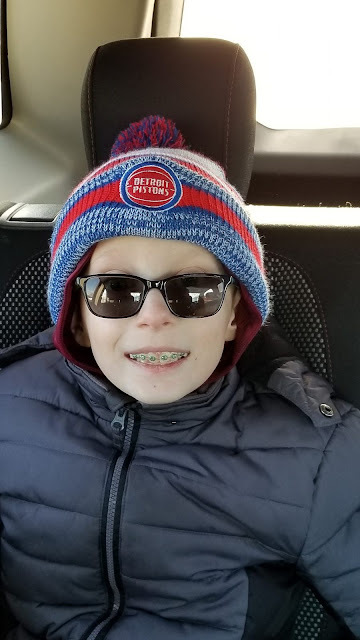 My son wears the knit cap he got as part of our Pistons game ticket package everyday to school. Try to avoid souvenirs that will be ignored a couple of days after the game. Kids Clubs can also be a nice way to get some nice things for children at a game without paying the inflated souvenir stand prices. Some teams allow parents to purchase a package of fan gear for their kids that can be picked up at the stadium while you are at a game. Kids clubs vary from team to team so you’ll have to check to see what your local NBA club does. For example, the Washington Wizards have the G-WIZ Kids Club. 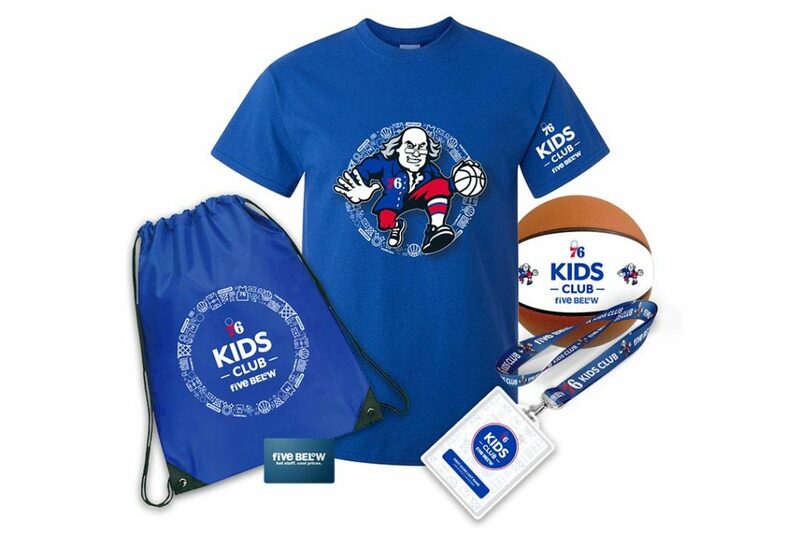 For $25 parents can purchase and pick up at the stadium during a game a kids club pack that includes basketball team themed gear including a drawstring backpack, pedometer, earbuds, water bottle and lanyard with membership card. Then after the game, the child will continue to receive a monthly newsletter from the team in the mail. The Indiana Pacers’ kids club is $20 to join. It includes a t-shirt, lunch bag, and poster. $35 dollars for a New Orleans Pelicans kids club membership includes a Jr. Pelicans basketball jersey, hat, drawstring backpack, and earbuds that have the image of the team mascot on them. The 76ers also charge $35. They include a t-shirt, basketball, and birthday card mailed to your kid, among other things. Other teams with notable kids clubs include the Chicago Bulls, Houston Rockets and Sacramento Kings. Note some teams like the Pistons promote free kids clubs which essentially are just an email newsletter. A number of teams including the LA Lakers and Golden State Warriors don’t host kids clubs. Check with your favorite team to see what they have to offer. We had a memorable night for our first father-son NBA game experience. In addition to the tips above, here are a couple more things to keep in mind. Look up the rosters of the teams that are playing to familiarize yourself with the players numbers and some facts/stats about them. This is also a good time to refresh your recollection of the rules of the game. You want to look like a champ not a dope when your son or daughter asks you questions during the game. While at the game this isn’t the time to be a super obnoxious fan or indulging yourself with alcoholic beverages. Focus on ensuring a child has a wonderful experience. Hopefully this will be a moment fondly remembered by that child when becoming a father or mother themselves. 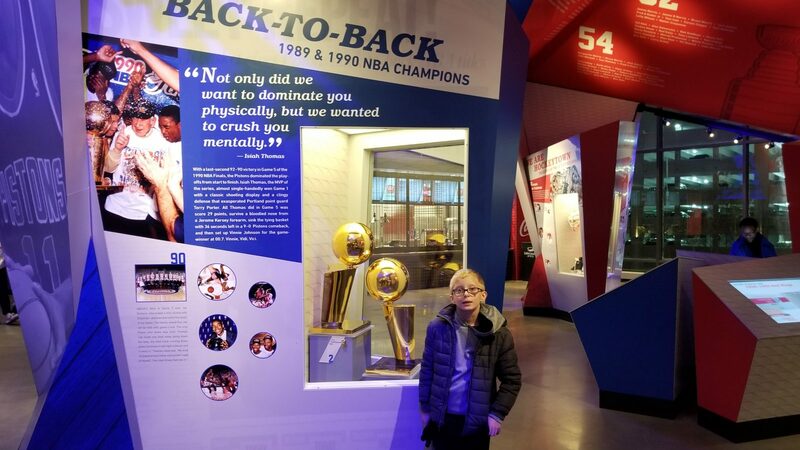 Visit nba.com, the official website of the National Basketball Association, for more information about planning your own father-son or daddy-daughter game experience.